My Dolly’s strength she has doubled. I don’t suppose he would know her. I’ll only love you the better. Here is a black and white clip art version of the main illustration from the page. I scanned the original poem from the December 1892 issue of St. Nicholas magazine. This is very sweet, perfect to give to a doll collector. Thank-you! This brought tears to my eyes. 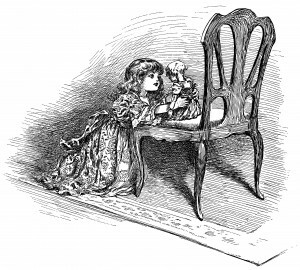 It reminded me of the time my china doll, Sweetie Pie, broke her leg in a fall from her buggy. I was heartbroken. She went to the doll hospital, but to this day, 65 hears later, she still bears the scar from that fall. Thank you for the memories you bring to us. These are always sweet pieces, and I would love to share them with my felliow quilters at my Quilters’ Quarters Facebook … if I have your permission? I love each one that you share with us! Thank you, and Merry Christmas! 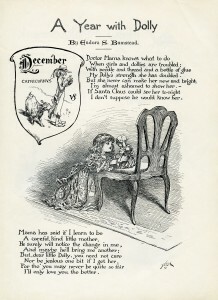 Linda, I think a doll collector would enjoy this poem and the illustration! 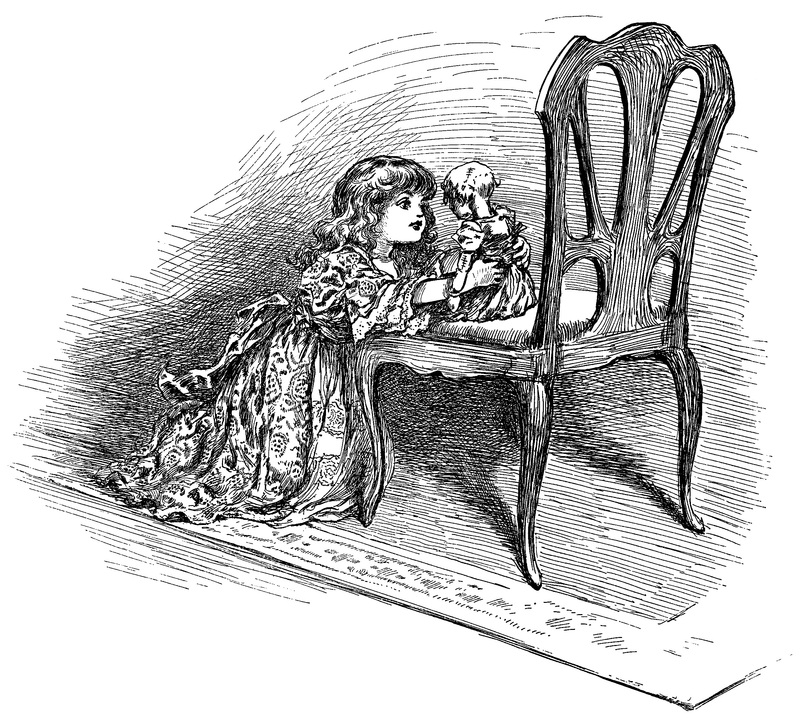 Susan, thank you for sharing your precious Sweetie Pie china doll memory. It’s wonderful that you still have the doll after all these years! Terry, you are welcome to share these pieces with your fellow Quilters’ Quarters members on Facebook.